Join the Red Heads International Fan Club and become part of the most active Céline Dion fan movement in the world! 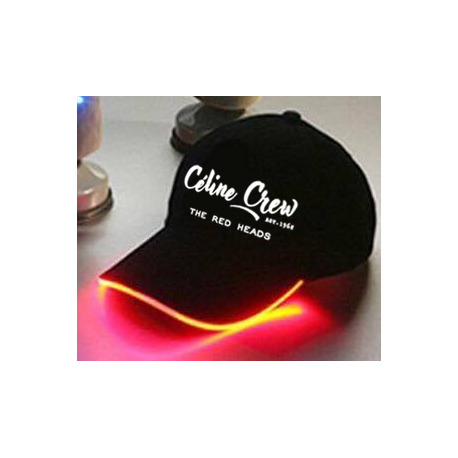 Here is your membership card to our fan club: the official Red Heads cap, indispensable accessory to wear during the concerts. 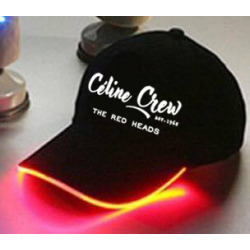 The famous Red Heads cap is doing a remake for Céline's 2017 summer tour. You can now discover our new brand "Celine Crew" that we are really proud of. Our fetish accessory is now black, featuring a red neon light that will allow you to shine in the dark and make yourself noticed during Céline's shows. We are increasingly numerous and it is more and more difficult to identify all the fans who attend a concert. 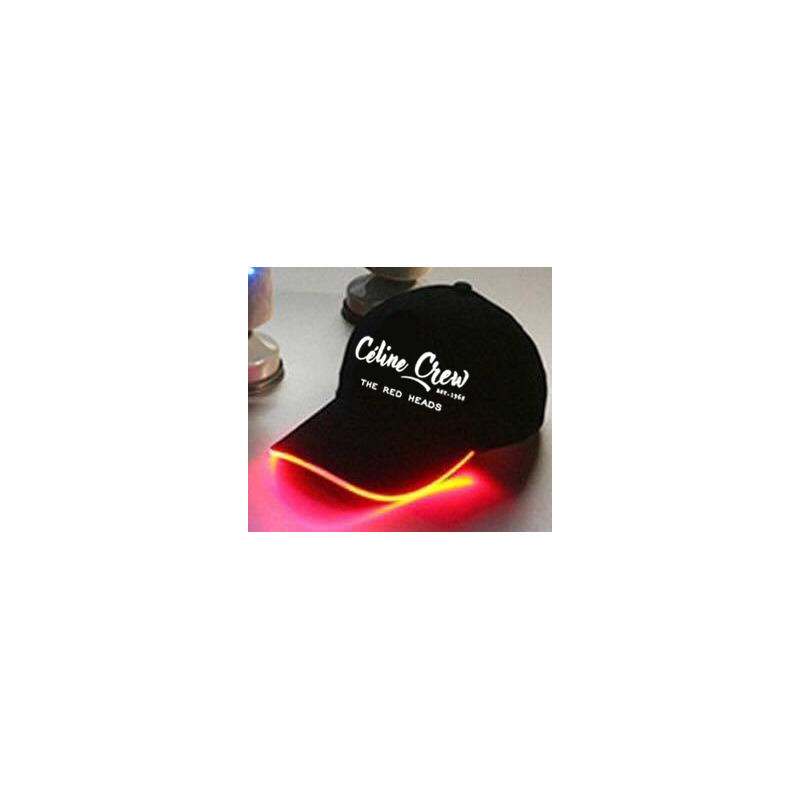 By wearing your cap, nothing will be easier to make yourself seen in the arena among the public!